Is coffee good or bad for you? The answer is neither. Coffee is neither good nor bad for you. Now you may go. Coffee is neither bad nor good for you. One day you may read that coffee is bad for your health; the next day you’ll hear that the same cup of java reduces your risk of disease. How can you sort through the complex and often conflicting world of scientific research to make sound health decisions? This comes from the Canadian website of the Cochrane Reviews, the world’s foremost compilers and synthesizers of medical studies. I adore Cochrane, but this language is symptomatic of a reductive worldview that has turned many Americans into insufferable bores. Drinking coffee is not a health decision. It’s a comforting ritual, a pick-me-up, or an excuse to chat with friends. Why must we turn everything in our lives (daylight saving time, religiousness, bicycle sharing, comedy) into a health decision? A century’s worth of research proves that coffee’s effects on human health are marginal at most. Unless you belong to some particularly sensitive group, the choice to drink or abstain will neither shorten nor lengthen your life in a noticeable way. If there’s a lesson to be had from 100 years of studying this question, it is this: Look hard enough for something to worry about, and you’ll find it—even if it’s not there. One of the earliest observational studies came in 1927, when the journal Science revealed that many working-class children as young as 6 years old drank a cup or more of coffee per day. By this time, the idea that coffee could “stunt growth” was already in wide circulation, so researchers began to furiously pour coffee down the throats of rats to see what happened. The initial answer was “nothing.” There are likely some exceptions, but my review of the midcentury literature on coffee in rats was a major snooze, turning up largely identical findings. Here’s a 1946 study finding that drinking coffee was “not injurious” to the rodent, and a 1952 paper that concluded, “Coffee fed throughout life exercised no unfavorable effect as indicated by disease or premature death.” A 1968 experiment found that coffee didn’t affect the liver function of rodents. In 1972, researchers reported that drinking the human equivalent of 85 cups of coffee daily seemed to cause no changes to rat bladders. I could point you to many more, but you get the idea. Rats aren’t perfect models for human health studies (also, medical researchers refuse to take “null” for an answer), and so began a series of massive epidemiological studies on humans. Beginning in 1946, Johns Hopkins Medical School started keeping tabs on the coffee-drinking habits of its graduates and watching for serious health problems. In 1986 the results came in: Drinking five or more cups of coffee per day nearly tripled the risk of coronary heart disease. It wasn’t quite the first research linking coffee drinking to cardiovascular disease—for instance, a 1973 study of hospital patients identified a link between coffee drinking and heart attack. But the Hopkins study received widespread media attention. It was massive (1,130 subjects) and long (more than 30 years), which gave it significant credibility. More than any other individual piece of research, the 1986 study spread the notion that drinking water strained through the ground-up seeds of Coffea arabica was killing us. Finally, a study to confirm our worst fears! But here’s the thing: Size matters in medical studies, but it’s not the only thing that matters. It’s nearly impossible to isolate coffee as a contributor to heart disease over three decades. Genetics, exercise, stress, and diet (cream and sugar?) all play roles. The study also checked in with subjects just once every five years—and it’s difficult to sum up five years’ worth of coffee drinking in a single questionnaire. And then there’s smoking, the biggest confounder of all. For decades, drinking coffee and smoking were the peanut butter and jelly of American life. Look at Edward Hopper’s “Nighthawks,” or just about any black-and-white film, and you’ll see them together. The researchers tried to tease apart the two habits, but that’s harder than it sounds. Especially since, even in the early 1980s, few doctors fully appreciated the amazing health-ruining effects of cigarettes. When you ask researchers today why people used to think coffee was bad for you, most of them blame the confounding effects of smoking. For the last 15 to 20 years, most of the research has been chipping slowly at the public’s perception that coffee is injurious to health. The pendulum is now swinging in the other direction. No longer the killer that we once feared, coffee is wonderful for you: It will prevent cancer, reduce the risk of cardiovascular disease, and stave off diabetes! The “coffee is good” research, unfortunately, suffers from many of the same defects as the old “coffee is bad” studies. 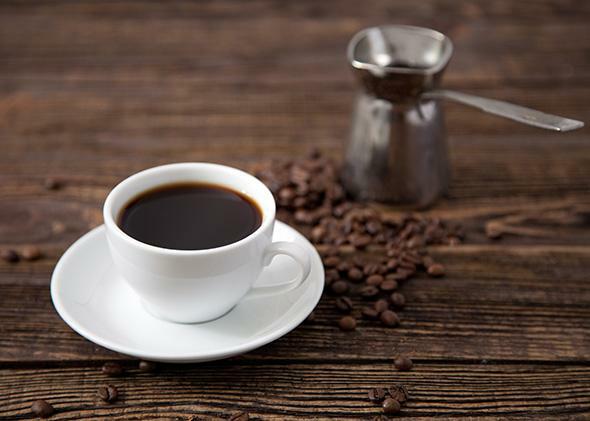 Researchers ask people how much coffee they drink, then look for correlations in their health. They try to control for many other factors, just like their predecessors tried, but there’s only so much one can do with statistical models. “[M]ost of the data on coffee’s health effects are based on observational data, with very few randomized, controlled studies, and association does not prove causation,” wrote one wise researcher. Unfortunately, a randomized control trial is not an option. No one has the money or the coercive power to force one group of young people to drink coffee habitually for 40 years, and another to drink none for the same period, while holding every other aspect of their lives constant. I’ve got answers, too. The previous 1,000-plus words were just background. As a personal favor, I’ll now compress the research into a Twitter-friendly, Michael Pollen–esque summary. Drink coffee, if you like it. Mostly filtered. Now you’ll never have to read another of these stories again. You’re welcome.